UPDATE 1:38 PM: TxDOT's Jodi Wheatley says southbound lanes have been cleared and the flow of traffic is slowly picking up pace. Northbound lanes were still being cleared. Traffic was trickling through, but delays as long as 10 minutes were expected. 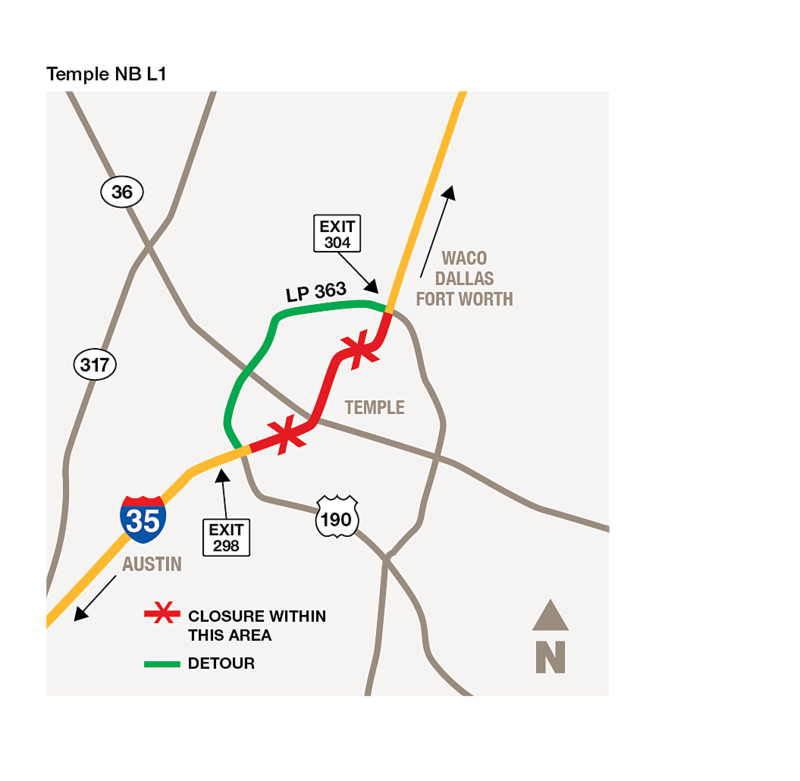 Traffic along both north and southbound lanes of I-35 was moving at a crawl on the north side of Temple shortly before Noon Friday. TxDOT's Jodi Wheatley issued an alert around 11:40 AM warning of major delays, particularly in southbound lanes, after crashes near Mile Marker 303 just north of Industrial Blvd. One car reportedly crashed into a barrier near a railroad crossing on the southbound side, while a car and semi-truck crashed on the northbound side. 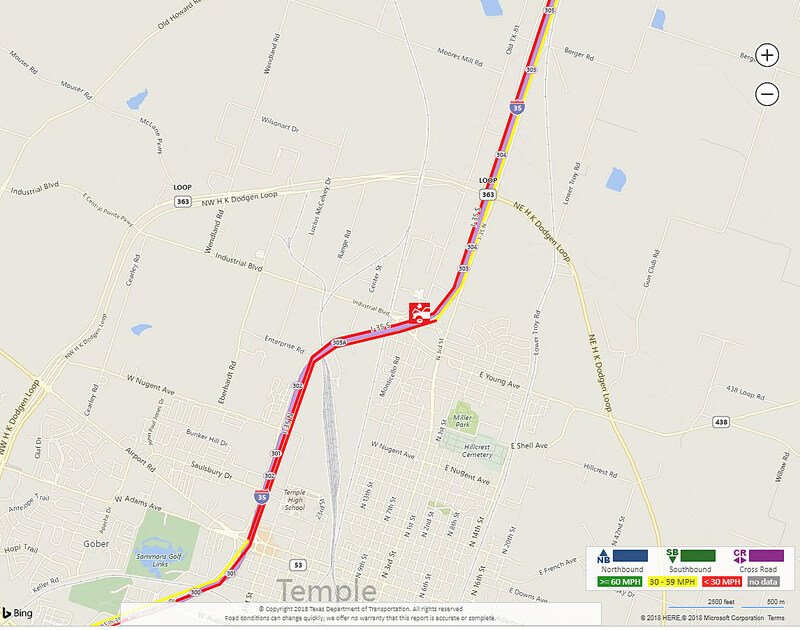 Traffic was backed up for over 5 miles both north and south, and the congestion was only getting worse. Wheatley warned drivers to expect delays of close to half an hour. Below are maps of recommended alternative routes. Click or tap the images for larger resolution. 3. Turn left and drive to on-ramp. 3. Turn right and drive to on-ramp.